Over the past two weeks the Wiwi Jury — our in-house panel of musical unprofessionals — has been reviewing each of the five national finalists in Georgia. We may not have a Georgian passport, but we certainly had strong opinions. Our 11 jurors hail from Australia, Austria, Finland, the Netherlands, New Zealand, the U.K. and the U.S., so we’re totally international. Below you can see the average score that each act received out of 10. If you click on their name you can read an interview or watch a video message. If you click on their song you can read our reviews in full. Do you agree with our result? Or are you hoping that someone other than Nina Sublatti wins? 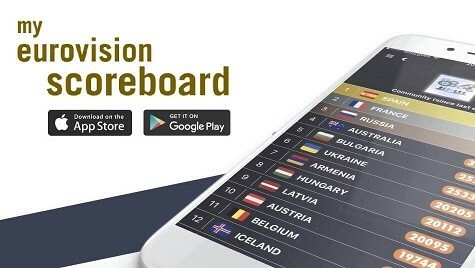 You can watch the Georgian final live on eurovison.tv from 14:00 CET on Wednesday, 14 January. Who is YOUR favourite? Let us know below! You can also listen to our commentary on this year’s five finalists in the Wiwi Round Up. It starts from 2:34. YOU CAN FOLLOW ALL OF OUR GEORGIA EUROVISION NEWS HERE. georgia always sends weird songs….so this is no different.. but i guess it is better than the usual for this country. If there’s any justice Nina will walk this NF and represent Georgia in Vienna.